On 16th November I am taking part in the Northern Writer’s Awards 2018 Yorkshire Roadshow. I was so chuffed to be asked along as winning one of the Awards in 2014 had a huge impact on my writing career. On Thursday 30th January 2014 I was sitting at my computer. Working. But I had the occasional glance at Twitter (working from home alone I see it as the equivalent of a bit of office chat time). One Tweep declared proudly that she had just sent off her entry for the Northern Writer’s Awards the day before the deadline and was now crossing fingers and limbs in the hope of winning. Up to this point I had (somehow) never heard of the NWAs despite being a very northern writer. I Googled the awards to find out more and was excited by what I discovered, especially as I had a whole day left in which to apply. I had at this point written a first draft of The Companion. It was huge and in much need of an edit. I already had an agent and she had just sent me her notes on it. What I really needed was a solid chunk of time to get my head around what I had written and what needed doing to it to make it into a readable novel. I was working full-time and although my freelance work is flexible, I couldn’t afford to give any of it up. That left evenings and weekends, which I made the most of but I often felt guilty taking time out of family life for a project that I couldn’t guarantee would ever be published. The winners of the NWAs are supported by New Writing North in a number of ways, the most obvious of which is that they “will receive awards of between £500 and £5,000 to support them to develop work in progress and to complete promising manuscripts.” It sounded like just what I needed. On 31st January 2014 I sent off my application – essentially the first three chapters of The Companion and a statement of my eligibility and what I intended to use an award for (‘to take time off work to write and edit’). When I was notified in May that I was one of the winners I began to appreciate that there is far more to the scheme than just the (very welcome) money. My writing had been read, appreciated and deemed by the Judge (that year it was Chris Mullins, a former Booker Prize judge) worthy of an award. This was a huge boost to my confidence that made me determined to get my novel edited and published. In addition to the monetary award, myself and the other winners were invited to a media training workshop at BBC Newcastle and a pitching workshop. Both were very useful and were also an opportunity to meet the other writers, several of whom I have stayed in contact with. The most exciting bit was the Agents and Publishers networking event in London, where we put our pitching into practice. It was a fantastic opportunity to discuss our novels with agents and editors who were there because they were looking for new talent and knew from past experience that the NWAs were a good place to find it. At the awards ceremony when I received my prize in a room full of other writers, including past winners who’d gone on to publishing deals and other successes I knew that entering the awards on the spur of the moment had been one of my best decisions ever. I am certain that having ‘Northern Writers’ Award winner’ on my writing CV made a difference when my work was submitted to publishers and subsequently in the promotion of The Companion. If you are a writer of fiction, poetry or narrative non-fiction who lives in the North, you still have plenty of time to apply for the 2018 awards. All the details can be found here. In addition there are going to be two free Roadshows at which you can hear all about the different awards on offer, ask any questions and chat informally to past winners (including me!) and the award organisers. 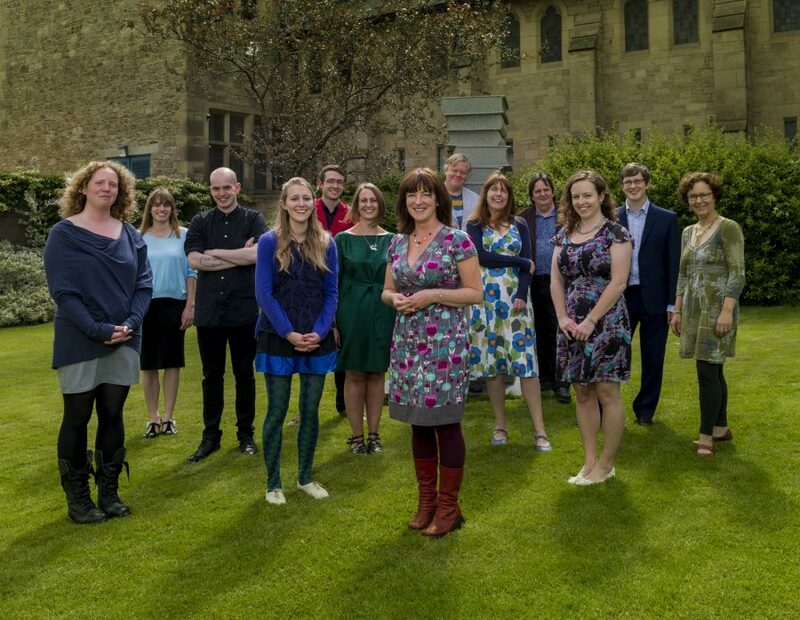 Tagged Debut authors, Northern Writers' Awards, Opportunities for writers, Poets, Roadshows, Writers of the North.